In this research work, we have synthesized blend of starch/PVA/nanoclay via solution cast method. The composition of blend was starch and PVA in 1:1 ratio by weight with citric acid as plasticizer. The amount of nanoclay was varied between 0.5 to 2 wt%. The structure elucidation of the film by Scanning electron microscopy reveals homogeneous dispersion of nanoclay into polymer matrix. The biodegradation of the films were studied by soil burial method and enzymatic hydrolysis and it was found that completely biodegradable films were produced which could serve as potential candidate for food packaging. The recent technological advancement in nanotechnology has opened new avenues for research and development in the field of phyto-medicine. Development of reliable and eco-friendly synthesis of nanoparticles is a significant advancement for introduction nanotechnology to develop noble nanomedical delivery system of herbs (HNMDS), and have to overcome the downsides of old-style herbs-medicines delivery through analyzing the interactions between nanocarriers and herbs or phyto-medicine. The application of nanotechnological methods for bioavailability and biocompatibility enhancement of phyto-medicine must be reviewed and need urgent prompt efforts to develop new formulations. Nanotechnology enables the combination of hitherto separate approaches to health care by permitting the realization of so-called ’theranostic’ applications, as well as targeted combination products. Formulation must also release active ingredient from phyto-formulation as developing nano dosage forms has number of benefits for phyto-medicine. 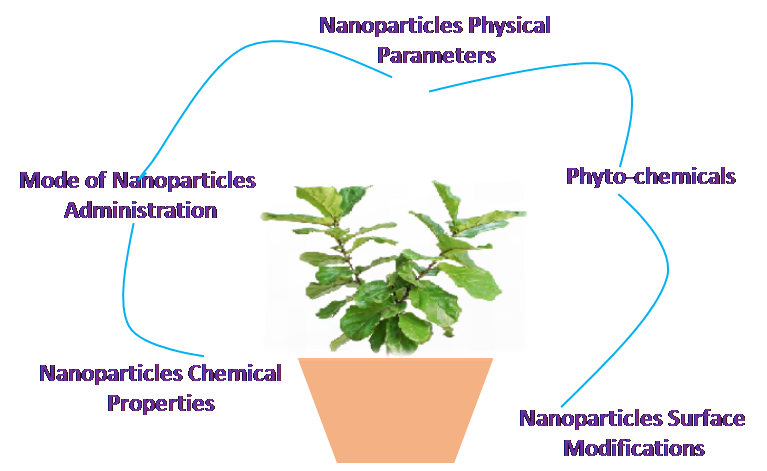 This review discusses nano sized herbs-nanomedicines delivery carries and potential current and futuristic advances for enhancing the activity and overcoming problems associated with herbal medicines for novel HNMDS.